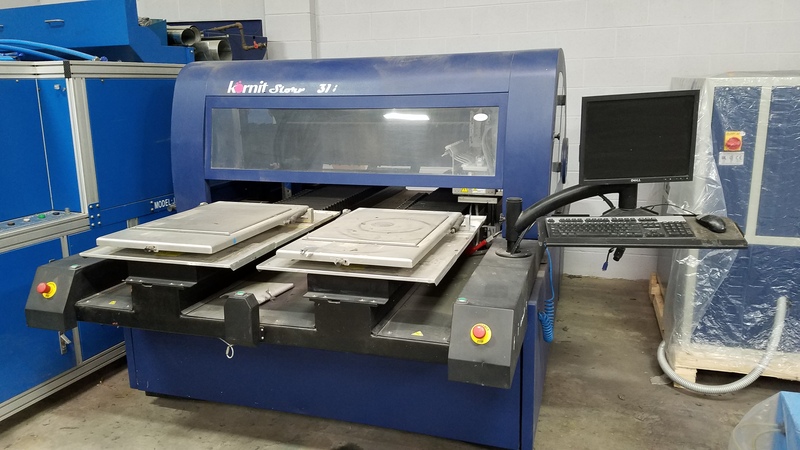 We are selling a used Kornit Storm 931-8 that is currently not functioning. We purchase from another shop with the intent to fix and use however we are now closing our doors so everything needs to go. All 8 Heads have all been flushed so I'm sure it can be put in working condition again with some Kornit tech love. Comes with computer and monitor. Asking $5,000 with heads included. If you want to part it out I'll go lower and keep the heads. Buyer pays for crate and shipping if not picked up locally. What does it need to get it running and in production"
Hello, what year is the printer from? What is the sérial number? Unknown, possibly just a Tech. It powers on and then shows an Axis Error when it starts to home.